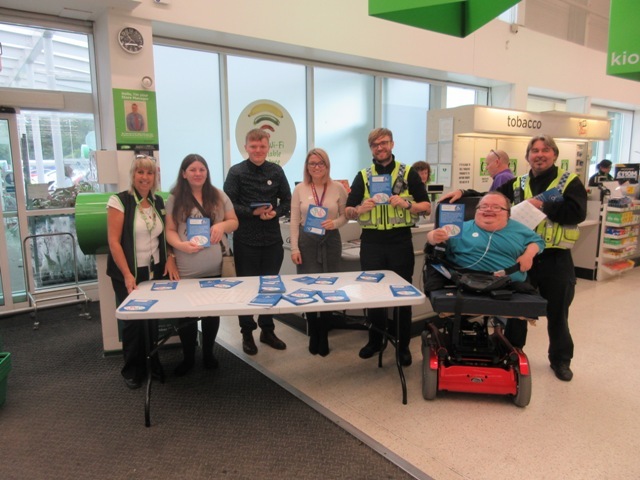 It was great to meet with shoppers and talk about their thoughts on our Considerate Parking Campaign. Some of the people we spoke to had their own experiences with inconsiderate parking and have been sending in their stories. Since the event we have been able to pass cases on to the local authority enforcement team and South Wales Police. This campaign will be more important as Christmas is coming up, with the push on Christmas Shopping and everyone rushing around last minute it is important to be mindful to leave enough room when parking. Big thanks to Julie at Asda for her support and help on the day, thanks also to those who stopped to talk to us and share their experiences with us. 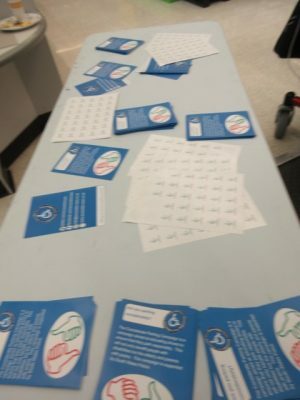 We must also thank all those involved in the campaign, our partners at South Wales Police and those from Rhondda Cynon Taff Equalities Team and the Disability Forum for their continued support. Keep your eyes peeled for more information on this campaign.